Born: 1861, Boston, United States of America. Walter E. Park, engineer, manager and radio pioneer, was the eldest son of the American engineer William Park and was educated at the Chauncy Hall School in Boston, Massachusetts. Though he had no tertiary education he earned the title of mechanical engineer and held the position of manager in the firm Fraser & Chalmers of New York and other engineering concerns. In 1890 he married Edith Marsh of New York, with whom he had one son. 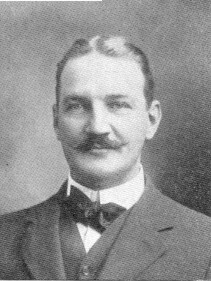 Park came to the South African Republic (Transvaal) in 1896 as general manager of Fraser & Chalmers in Johannesburg, though he also acted as consulting engineer to various mines, and as consulting mechanical engineer to the Chamber of Mines of South Africa. During the Anglo-Boer War (1899-1902) he served with the British forces as a captain in the Railway Pioneer regiment and was awarded two medals. Shortly after the conclusion of the war he was elected president of the Mechanical Engineers' Association of the Witwatersrand for 1902/3, delivering his presidential address in June 1902. He had been a member of the association since 1898, the year of its foundation. By 1899 he was also a member of the Chemical and Metallurgical (and Mining, from 1902) Society of South Africa. After the war, in 1902, he became a foundation member of the South African Association for the Advancement of Science. The next year he served as a member of the Technical Education Commission, which made recommendations relating to higher technical education in the Transvaal Colony. Park was a gifted man of great originality and made history in 1908 by introducing the first wireless telephone in South Africa, installed in a Johannesburg mine for communicating between the working face of the mine and the surface. Chemical, Metallurgical and Mining Society of South Africa. Proceedings, 1899-1903, Vol. 2-3: Lists of members. Journal of the Mechanical Engineers Association of the Witwatersrand, 1902-1903, Vol. 1.